Cuyahoga Valley Scenic Railroad Bike Aboard! At 3:00 on Sunday, August 26, we will meet at the Cuyahoga Valley Scenic Railroad Indigo Lake Train Station. At 3:00 we will have a quick meeting, where we will discuss the upcoming Scout year, pass out paperwork for this year’s popcorn fundraising campaign, and answer any questions you may have. Then, (for those that opt to partake), the fun begins. 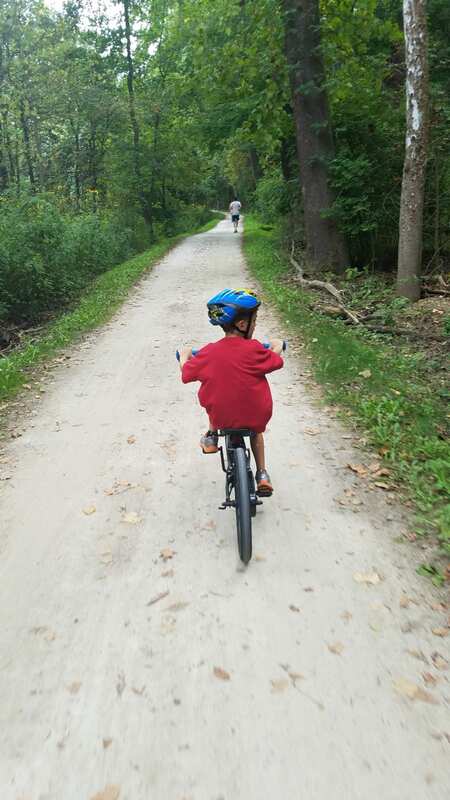 At approximately 3:20 (when the train is scheduled to arrive), Scouts, parents, siblings, and families that may be interested in joining Pack 3322, will board the Cuyahoga Valley Scenic Railroad to participate in its Bike Aboard program. 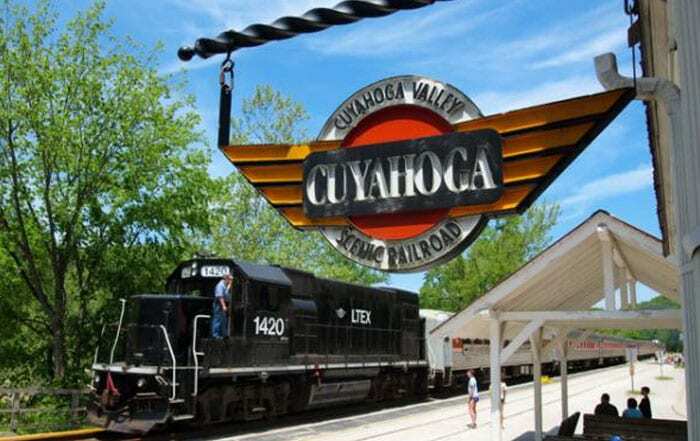 Specifically, from the Indigo Lake station, we will board the northbound CVSR train with our bikes (brought to the meeting from home) and enjoy a train ride through the beautiful Cuyahoga Valley National Park. We will then get off at the Peninsula station (at approximately 3:30) and then bike the approximately 4.0 miles back to Indigo Lake stop. It is a beautiful path, crossing marshes and wetlands while following the Ohio and Erie Canal Trail. While biking back (about 3 miles into the 4-mile ride), everyone is invited to stop for snacks and refreshments (roasted sweet corn, soft-serve ice cream, fresh fruit) at Szalay’s Farm & Market. It is cash or check only. 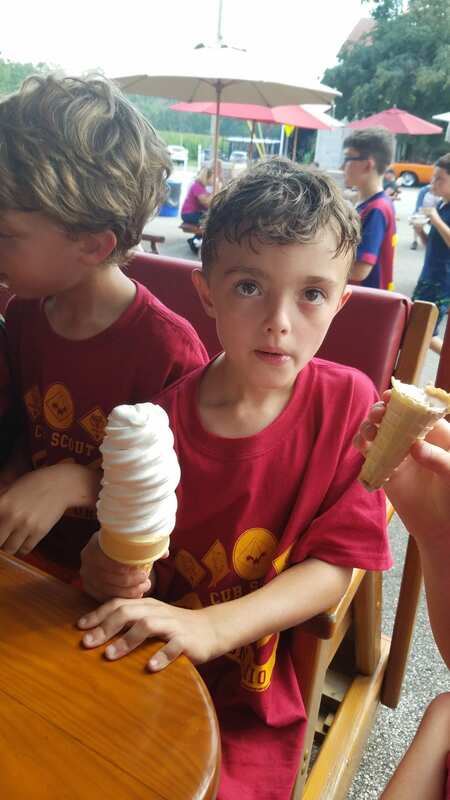 As with all Cub Scout functions, Scouts should be accompanied by a parent or other adult. Scouts should wear their Class Bs. Siblings and friends who may be interested in Scouting are invited to join in the fun. I have attached a map of the Indigo Lake / Szalay’s area for your convenience. Sorry for the handwriting on the map; it was the best I could do with a mouse. The map shows the parking lot for Indigo Lake, which is very close to the train station from which we will board the train. If that lot is full, there is a Towpath parking lot just east of Szalay’s (4563 Riverview Road, Peninsula, Ohio 44264), which is also on the attached map. Simply park in that lot, and bike the .9 miles south on the towpath towards Indigo Lake. If you park at the lot near Szalay’s, on the bike ride back (after riding the train), you can get right in your car right after our stop at Szalay’s. (This latter option may be best for the younger kids because it breaks up the bike ride into two parts). Please budget enough time to get from wherever you park to the Indigo Lake station in time for the 3:00 meeting. a backpack to carry your gear and the paperwork from the meeting (including the important popcorn paperwork). This event is open to all Pack 3322 Scouts and their families as well as any families interested in learning more about Hudson, Ohio Cub Scouts.